Our work as a small foundation focuses on building “coalitions for change”. These coalitions are informal networks of institutions and individuals that we convene to focus on specific threats to peace, development and human rights. 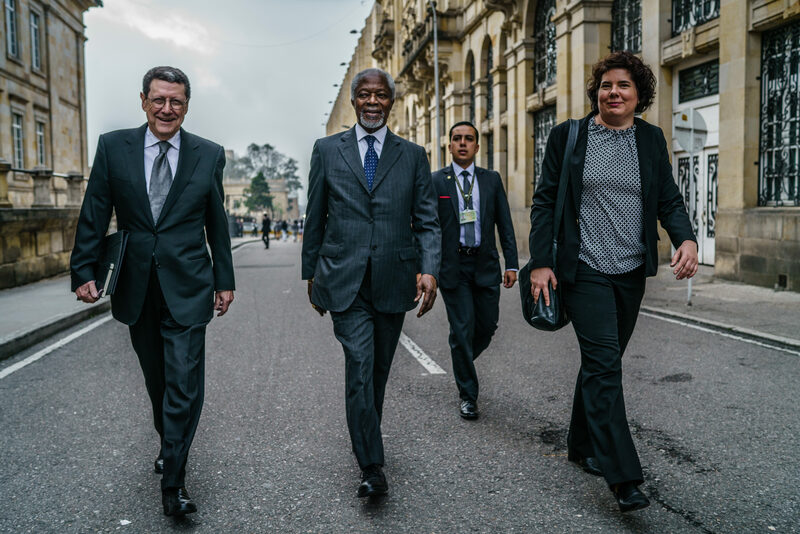 I am pleased to share with you the 2016 Annual Report of the Kofi Annan Foundation, also available for download in French, in which the work of these coalitions is presented. From energising young people in the prevention of violent extremism to convening former heads of state to strengthen emerging democracies, over the past year we have engaged partners from the worlds of government, development, business and civil society. Our work would not be possible without them. We thank them and all of our supporters for their commitment to our common goal: a fairer and more peaceful world.